Knowing how to poach eggs is a good thing to know especially when you can make yourself a simple yet satisfying breakfast like Poached Eggs with Gouda on Toast. 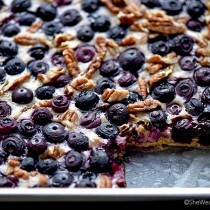 This is one of my personal favorite dishes to enjoy for breakfast any day of the week. If you’ve never poached eggs before, be sure to read all the details below and start poaching today! Sometimes I just want to share a favorite recipe. Sometimes I don’t have a story to accompany said recipe. Sometimes I just want to post some pictures, and the recipe, and be done with it. But that’s not the norm in the food writing/blogging world. Sometimes I don’t have jazzy words to describe the taste. Sometimes all I want to say is “try this recipe, because it’s good.” But “good” is unacceptable in the food writing world. “Good” doesn’t cut it. But today I’m breaking the food writing rules. Maybe they’ll banish me from all that is food and writing. Maybe. But sometimes, sometimes you just have to break the rules. So here’s my recipe: Poached Eggs with Gouda on Toast. Nothing fancy. Nothing especially interesting. But sometimes, those are the best kind of dishes ever. And this is that sometime. Try it. You’ll like it. It’s really good. Good, I tell ya. With that said, I do have a little to say about the poached egg. It’s one of those basic foods that everyone should know how to cook. There’s nothing quite like it. It can be paired with a number of sides, and not just for breakfast. You’ll find an abundance of techniques online for how to poach an egg, but the best way, is whatever way you master and feel comfortable with. Because an egg unpoached is a sad, sad thing. A couple of years ago I had the pleasure of being shown some tricks for poaching eggs by Jeffrey Saad. Jeffrey is one of those people with an infectious energy. Truly, truly a gem. He and his wife are some of the nicest people you could ever meet. 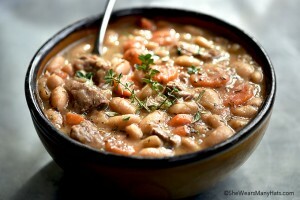 Anyway, Jeffrey shared a few tips for poaching that I’ve used ever since, with regular success. Some of these are his tips, others I’m not sure where I heard them. Use a shallow pan for poaching. I use my 10″ fry pan. The shallow sided pan is easier to work with when retrieving the perfect poached pouch, as well as it gives less space for the egg to disperse. Add salt and vinegar to the poaching water. Salt adds taste, vinegar helps the egg white hold together. Really, try it with and without the vinegar and see the difference. Vinegar, such an all-purpose handy thing. Use fresh eggs. The whites of fresh eggs hold together better. 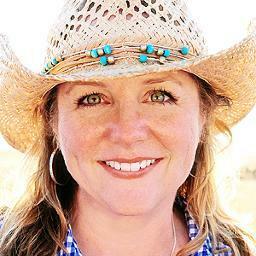 Did you know that fresh eggs have cloudy whites? I know, weird. Kinda backwards even. Crack eggs into individual small bowls. 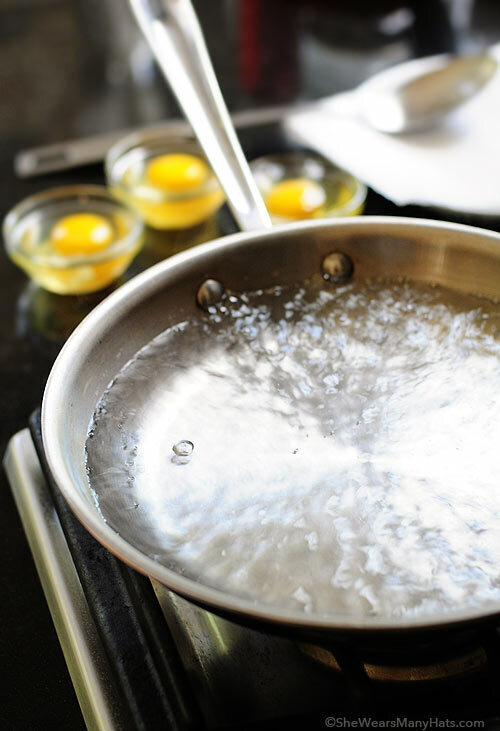 You can certainly crack eggs directly into the poaching water, but cracking them into small bowls first allows you to gently place the egg into the water. The small bowl can even be immersed partway to let the egg gently glide into the water, which helps it stay together. Plus, if you’re not an excellent egg cracker, it gives you the chance to remove any shells before poaching. Another thing I do, (and I can’t remember if Jeffrey shared this with me or if I just can’t leave things alone), if needed, I use the tip of a spoon to gently nudge the egg white back to the center of the yolk right after dropping the egg in the water. Poaching time depends on temperature of water and how you prefer your eggs. I like mine poached for a little over 2 minutes. My husband likes his poached between 3-4 minutes. If you’d like to see him perform the poach in person, Jeffrey has a video on how to poach eggs. These tips are helpful, but once you play with poaching, you’ll find your personal little nuances to help create perfect poached eggs each time. You’ll notice I used a very small amount of cheese. I like the egg to play center stage here, plus with gouda (any cheese would do, but gouda is good), you don’t need much to add great flavor. Personally, a toasted English Muffin is the prime pocketed place for a poached egg to perch, but any toast that is to your liking will do. Salt, pepper and dill were added for the final touch. Dill + Eggs = Goodness. Be sure to try out different combinations of cheese, breads, and seasonings. Once you master the poached egg, you’ll find your mind swirling with ideas for recipes of how to incorporate them into other dishes, and not just those for breakfast! Poached Eggs with Gouda on Toast. Nothing fancy. Nothing especially interesting. But sometimes, those are the best kind of dishes ever. And this is that sometime. Try it. You'll like it. * Salt and vinegar amounts for poaching water are approximates and based on 4 cups of water. Adjust accordingly. Crack eggs into individual bowls/saucers. Gently slide eggs one at a time into the poaching water. Using a spoon, gently nudge the egg whites toward center of yolk. Cook for 2-3 minutes for a semi-soft yolk or 3-4 minutes for a firmer-set yolk. With a spoon, remove eggs one at a time and drain on a plate lined with paper towels. 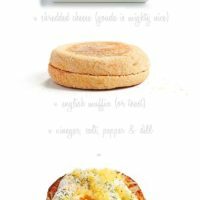 Using one half of toasted English Muffin, add a little of the shredded cheese, then the poached egg, and top with a little more cheese. Season with a pinch of dill, salt and pepper. Updated 1/25/15. Originally posted 9/11/12. Gorgeous. I am seriously blown away by that first series of images. I love them. Poached eggs are my favorite breakfast. Heck, they’re quite nearly my favorite food. Love this post, Amy. Are you serious? I want … NOW. oh you crack me up……….I think every time I post a recipe, I just want to throw up the pictures and recipe and call it a day! I love the tips on poaching eggs. I love them but never feel I get them quite right. And a perfectly good and simple breakfast is all I ask for. This is right up my alley! Who are “they”? I think I want to stay away from them ; ) wink! I know what you’re saying…….sometimes I just don’t want to think about it too much. I just want to share it!!! dadburnit! Thanks for the poaching tips, I love poached eggs, but have not mastered the art. Love a perfectly poached egg on top of a a crispy salad…..mmmm YUm (another no no word in the food writing world…..but it is so yum). Love this!! I needed these tips for poaching eggs so badly. And umm, this post was perfect…do it the way you want to do it each time. xoxo, Amy! Thiiiiiiis makes me cry. I LOVE poached eggs, I eat them nearly every day, just like you showed, but with wilted spinach. You made probably the sexiest poached egg in the world. Ugh. I’m all about “good” food. No need to elaborate. If you say it’s good, Amy, I trust you. 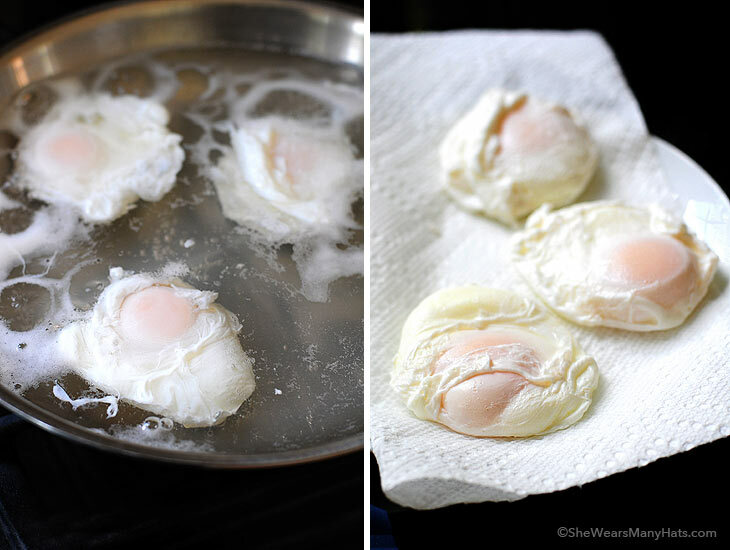 Okay, so I’ve never poached eggs before, but I totally want to go make this right now! Poached eggs are simple perfection, a little bit of comfort and oh so good! Okay, I’m at your house in the morning for these! Gorgeous!!! The recipe at the end of the post in the blue box has the full instructions. Above that were just a few tips for poaching. Mmm gotta love a good egg sandwich! This sounds awesome. Nice!! I like your graphic thingy going on at the top. Such a lovely classic! Descriptive food words are hard for me. Anything beyond yummy, delicious, good…am get stumped. Plus a lot of food words gross me out, because I am weird…so Good works for me! Your first set of photos are perfect!How do you do that?!? And love the tips on poaching too. I so know what you’re talking about. Sometimes I just don’t have a “story” either and all I want to do is say “cook this, you’ll love it!” I say let’s be rebels, throw caution to the wind, and just do it our own way 🙂 Seriously love this recipe and am going to go make it for lunch right this minute. My husband and I just started cooking with poached eggs and we love it! This looks amazing!! holy eggs, those are the prettiest poached ones i think i’ve ever layed eyes on! Absolute perfection! 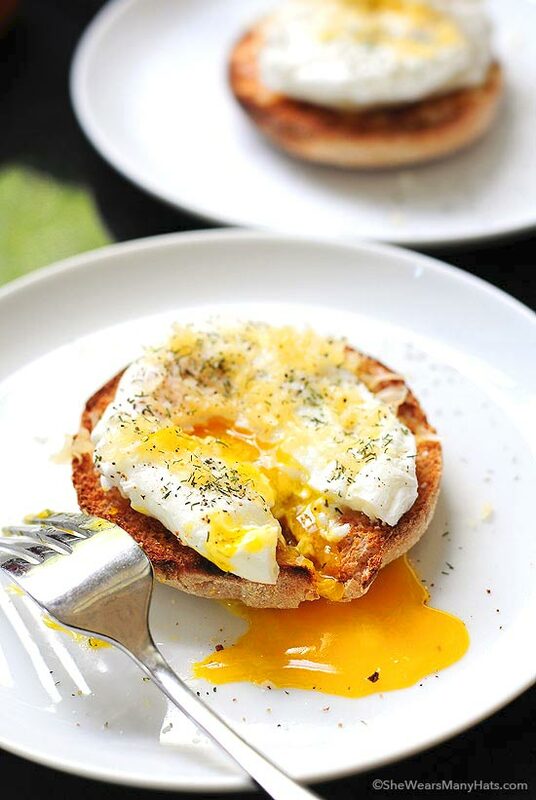 Those beautiful golden yolks and creamy Gouda look to tempting! I eat egg sandwiches for breakfast, lunch or dinner … and now I know what dinner tonight will be! I would like to say you photos are so gorgeous that I would like to make these poached eggs right now! No words necessary. I don’t cook poached eggs enough, you’ve inspired me. I always love your posts. THey are simply perfect, just like this egg. YUMMMMMMMMMMMMMMM! That is all i have to say! This is my type of breakfast! Looks delicious! Iv’e never poached eggs bit I love them all melted and oozing over English muffins! This is so beautiful, Amy! And I can’t even explain how gorgeous the top image is! These look absolutely delicious! I love eggs; you can do so many different things with them. It certainly looks delicious. Fresh, light and simple. Yum. Amazing. I LOVE your site. 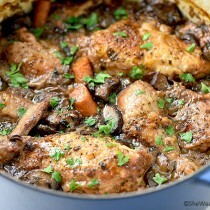 This recipe is calling my name. Simple, yet creative. Sounds wonderful! and with gouda? I’m hooked! Funny, I never liked eggs. At all. So of all the ways to prepare them I was shocked that I looooveeeed poached eggs when I tried my first Eggs Benedict years ago. So, needless to say I have ‘mastered’ the art of poaching eggs. This variation w gouda sounds so simple and flavorful I can’t wait to try! 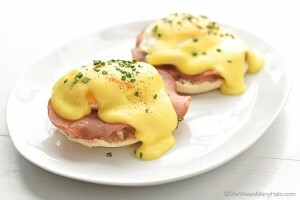 I love Poached Eggs as well, one of my favorite breakfast along with bacon ad a cup of steaming coffee. More cheese, more tastier! Those poached eggs look absolutely perfect. It’s my favourite way to prepare eggs at the moment but I’m not always successful. 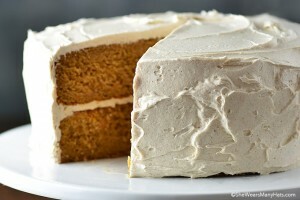 Really want to make this now! this is my perfect meal – breakfast, lunch, or dinner. beautiful! Xu Xiaoya you might care about this money, she said: Do not worry teachers, we must call a good single senior, this money will be reimbursed to Qiang got. 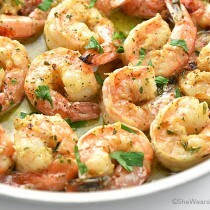 I don’t need any words, just those pictures will suffice in making want to cook this ASAP. Just absolutely stunning! Those are some beautiful eggs. I love this idea and will go get some Gouda .I invested in a egg poach pan and really love it. Poaching has become one of our favorite ways to enjoy eggs. And Gouda … oh my! This looks so good! I’m embarrased to admit that I have never had poached eggs. It’s about time. I need to try this! Great read on the aspect of being descriptive but those eggs are hidious! Why would you use a shallow pan and not a pot so they get a round shape and not a flat shape like a fried egg? I just find it odd! Like you said though.. practice and find ways that work best for you and you like…. but they are ugly looking eggs and I wouldn’t want to eat those if I saw them at my mother’s house or a restaurant. A popular chef taught me the method and it has worked well ever since. Have a lovely day, Vanessa!